I'm happy to share my first card made with the help of Design Space and my new Cricut Explore Air. For the pot, I created my own template. After checking some similar styles online, I found that I didn't like the shape or smaller sizes. There are several flower pots available on cartridges but again, I wanted a cuff that I could decorate. Size: The pot, full length before gluing sides is 11 inches long, 4-1/2" wide. Flowers: 1 @ 2.79"w, 1 @ 2.89"w, 1 @ 2"W. Flowers are all from Forever Young. Name plate on pot: Cut from Heritage, name was written with Explore Air. Attached with silver heart brads. Butterfly: # M10BE98 from Imagine More Cards. Sized @ 1.7"
I stapled a piece of green ribbon at the top, to indicate that the flower card needs to be pulled out. For the message on the card, I used the writing feature in Design Space. 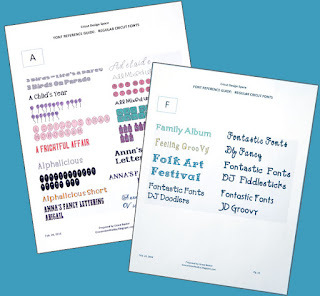 Sorry I don't remember what fonts as I tested many. If you would like my template for this flower pot, please become a follower of my blog (click the blue "Follow" button in right side bar) and leave me a comment requesting the template. Don't forget to give me your email address so I can send it to you. Love this and I commented to you on Sheila's blog. I'd love to see your template when you have a chance. cosci_us@yahoo.com. 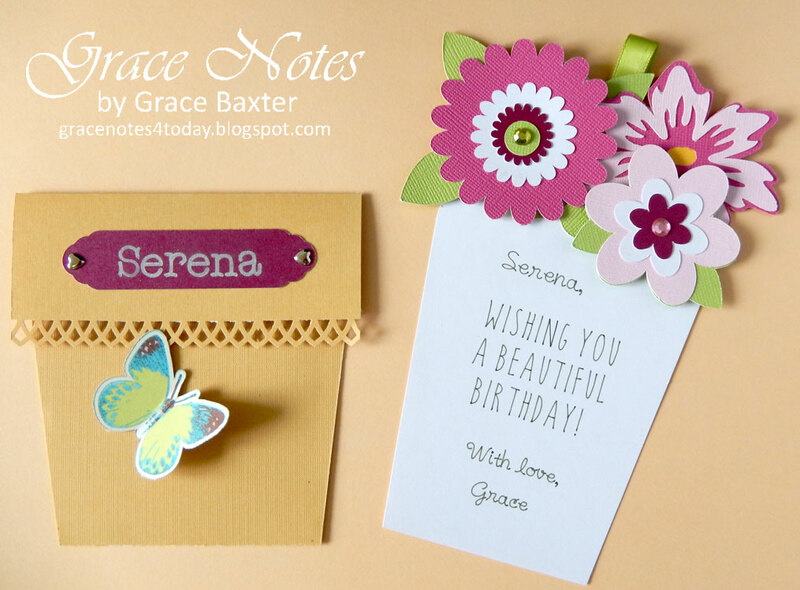 Thank you for being so generous to share, Grace. Congrats on your Cricut Air machine. I do not have the Air but I love using the Cricut Explore and Design Space. 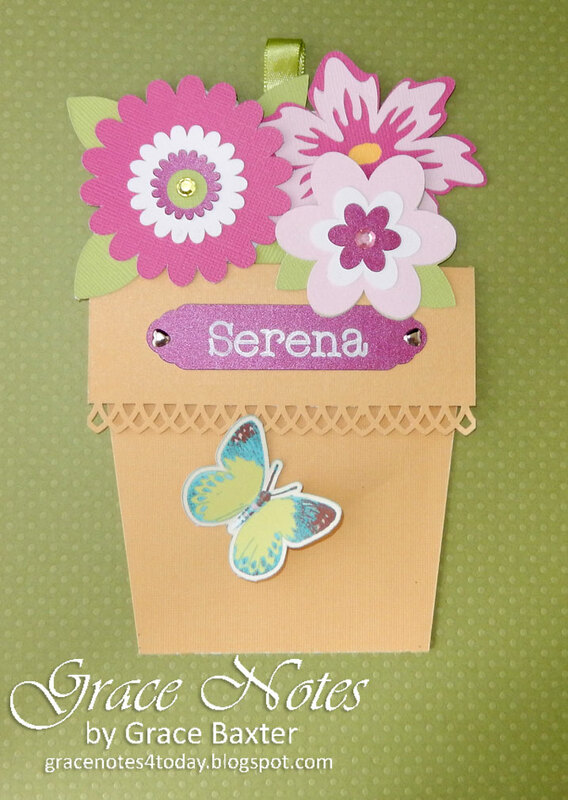 Love the beautiful flower pot pocket card! Great work!